Bajaj continues to test the ABS-equipped Avenger 220 Cruise as the 1 April deadline inches closer. The safety norms are less than two weeks away, and so, we expect to hear the pricing and availability details very soon. 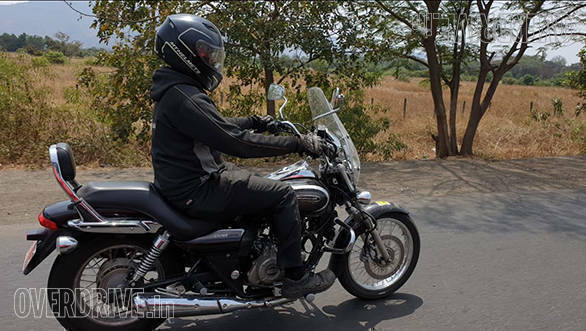 Ahead of the launch, the motorcycle was spotted somewhere near Pune during its a test run recently. 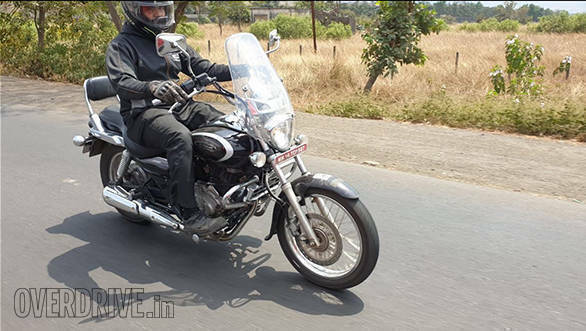 Apart from the addition of ABS, there are no changes to the 2019 Bajaj Avenger 220 Cruise. The motorcycle is expected to carry a price increase of approximately INR 7,000 with the addition of single-channel ABS. The upcoming model, similar to the rest of the Bajaj line-up, would pack single-channel ABS. The braking department would include a disc brake at the front while at the rear would be a drum unit. The same upgrade would be seen on Street models. The changes will be limited to the addition of single-channel ABS, and the motorcycles would continue to feature the same hardware and engine specifications as before. A proper update to the Avenger range, as told by Rajiv Bajaj, Managing Director of Bajaj Auto, would arrive post the BS-VI emission norm compliance in 2020. We expect the new Avenger range to pack new graphics and a few other visual upgrades. It could feature a full-LED headlight and a fully digital instrument cluster with mobile phone connectivity on the next generation model. Until that happens, the Avenger 220 range would use a 220 cc single-cylinder, oil-cooled, triple-spark engine that delivers a maximum power of 19 PS and a peak torque of 17.5 Nm. The motor comes mated to a five-speed transmission. Conventional telescopic forks at the front and a mono-shock at the back perform shock absorption tasks. Several chrome-highlighted panels enhance the premium look of the Avenger 220 Cruise while the wire-spoke wheels and pillion backrest add to the typical cruiser motorcycle look. The Street variants, on the other hand, feature alloy wheels. The addition of ABS would result in an approximate price increase of INR 7,000 over the non-ABS models. A report from January claimed that the Avenger 220 ABS will cost INR 1.02 lakh (ex-showroom Delhi). We hope to hear an official announcement very soon. It should be noted that the Bajaj Avenger 220 ABS range has already started reaching dealerships across India. The price of the 2019 Bajaj Avenger 220 Cruise, along with other ABS-equipped Avenger models, is expected to be announced very soon as ABS will become mandatory from 1 April 2019. Apart from the new Avenger range, Bajaj would also announce the price for the 2019 Dominar 400 soon, likely by 21 March.